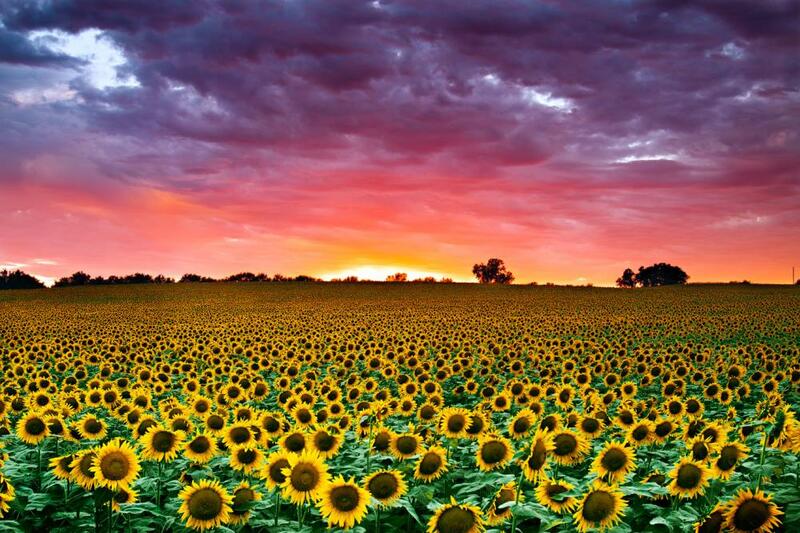 Consider this your one-stop shop to navigating the Sunflower State’s essential experiences and hidden treasures, including where to view sunflowers, experience quirky attractions, see rock formations and find Oz. Come late August or early September, Ted and Kris Grinter’s Sunflower Farm explodes into a yellow sea of many thousands of beaming blooms 8 miles northeast of Lawrence. For two to three weeks, visitors wander the fields with cameras in hand, snapping selfies and family portraits among the state flower. 11 million pounds. 16 stories tall. 160-foot-long boom. This retired electric coal mining shovel is a serious beast. A spiral staircase leads into the world’s deepest (109 feet) hand-dug well. Exhibits about its construction await at ground level. See Civil War veteran S.P. Dinsmoor’s cabin home surrounded by 150 bizarre sculptures. More self-taught artists’ works made from pull tabs, chewing gum and glass bottles await at the nearby Grassroots Art Center. A 24x32-foot replica of one of Vincent Van Gogh’s sunflower paintings rests on a nearly 80-foot-tall easel. Since 1957, the sisal twine spectacle has grown from 5,000 pounds to more than 20,000. 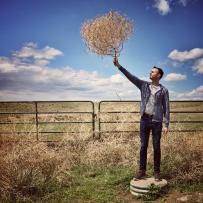 It continues to expand, thanks to an annual Twine-a-thon. Wind, water and river ice exposed soft sedimentary layers of Niobrara Chalk in pockets of western Kansas. 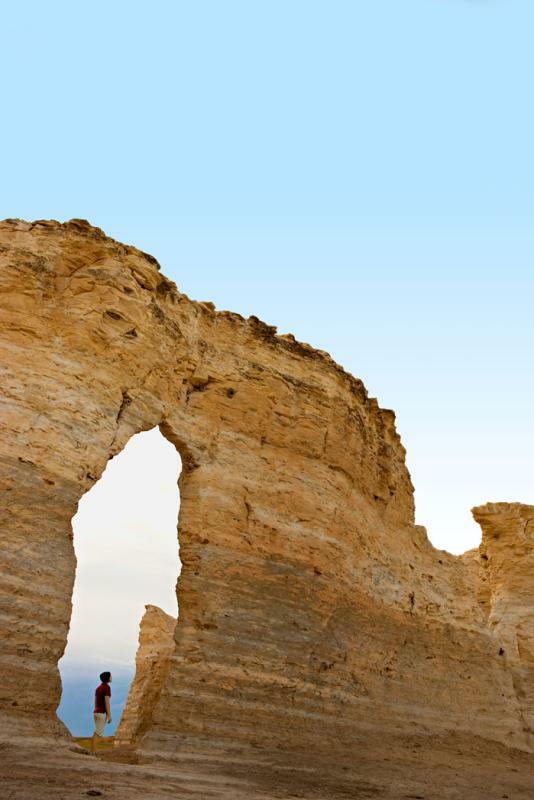 The result: otherworldly formations like Monument Rocks, with turrets and spires that rise from the prairie like dissolving sand castles in Gove County. Fifty miles east, Castle Rock resembles a moonscape with its maze of narrow cuts and canyons cleaved into cropland. In central Kansas, odd-shape rocks star at Mushroom Rock State Park in Ellsworth County (the largest formation measures 27 feet in diameter) and at Rock City park near Minneapolis, where more than 200 rounded sandstone rocks form a surreal playground of climbable spheres. The road to The Wizard of Oz starts right here in Kansas. 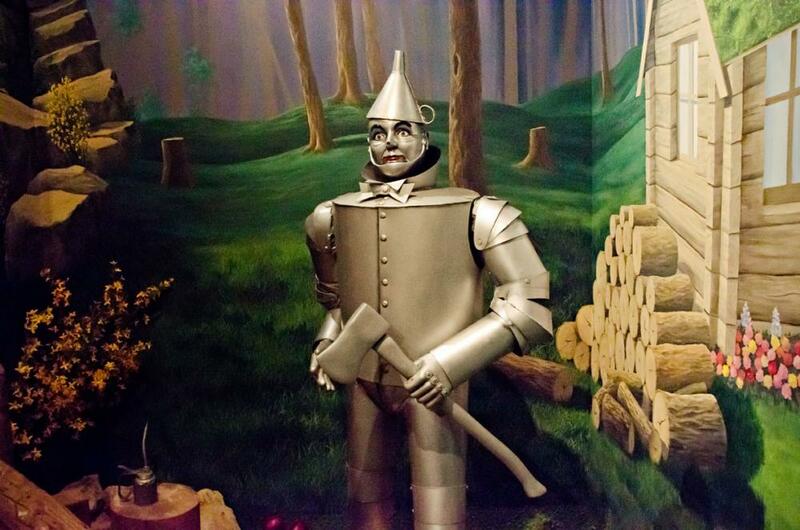 At the Oz Museum in Wamego (15 miles east of Manhattan), life-size dioramas of Dorothy and other Oz characters anchor collections of more than 2,000 artifacts related to the film. This collection includes an action figure-size flying monkey model used in the 1939 MGM classic. A guide dressed as Dorothy leads visitors through Dorothy’s House and Land of Oz in Liberal (67 miles south of Garden City). The complex features a 1907 home restored to resemble the Gale farmhouse in the film. More than 11,000 yellow bricks form a Yellow Brick Road—er, sidewalk—in Sedan (90 miles southeast of Wichita). Keep an eye out for donor names, including Bob Hope and Whoopi Goldberg, inscribed on the bricks. 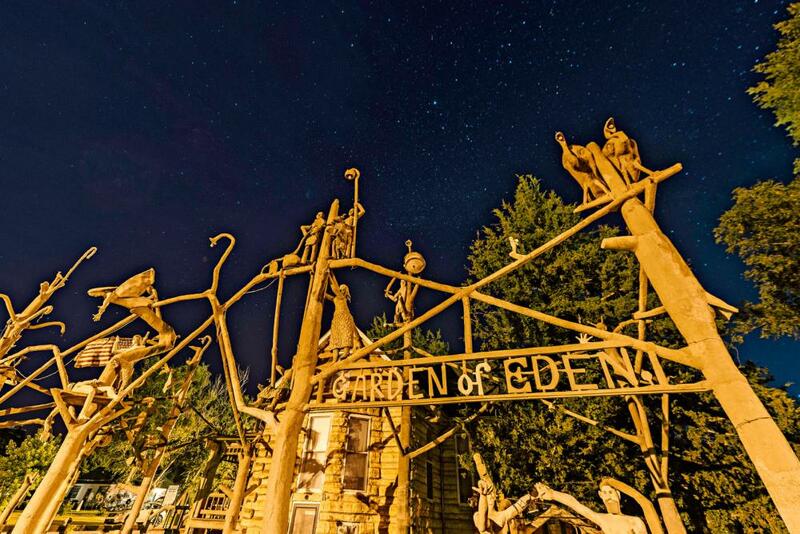 Want to experience more Kansas attractions? Check out the 2017 Kansas Official Travel Guide for hundreds of great travel ideas and road trip itineraries. Jess Hoffert is the editor of the Kansas Official Travel Guide. One of his favorite hobbies is driving along the gravel and dirt backroads of the state to discover hidden attractions and amazing landscapes.